So, this is the moment in August when much sound and fury is emitted over the ridiculous nature of the Edinburgh Comedy Award nominations. And now that those (not so) shortlists are out, well, actually, they're not bad. 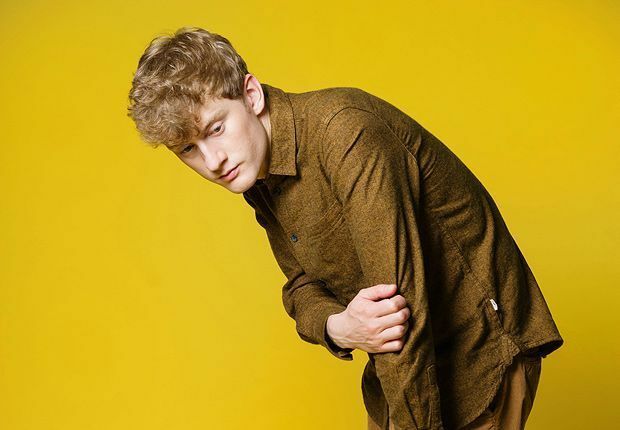 There will be a strong tendency for some people to simply assume that the judges cannot allow James Acaster not to win it given that he's now on his fifth shortlist in succession. But this will be to ignore the strong merits of other nominees. Richard Gadd might well be many people's favourite for delivering his most personal show to date in Monkey See Monkey Do. Will he add the award to his crown of being the fittest comedian in Edinburgh what will all that treadmill work he puts in during the hour? A Gadd victory would also have other historical significances, making him only the second free Fringe winner (John Kearns got there first in 2014) and just the second Scot to win the main prize after Arnold Brown in 1987 (though this view depends on how Scottish you believe Emma Thompson and Phil Nichol to be). Two acts who appeared on the shortlist for the first time last year return in the shape of Nish Kumar and Kieran Hodgson while Australia has a triple whammy with Tom Ballard (who was a Best Newcomer nominee last year), Heath McIvor (in the shape of potty-mouthed purple puppet Randy) and Zoe Coombs Marr. If you're looking for some sort of spooky fate element swaying the judges, Barry Award winner Coombs Marr will try to follow in the footsteps of Sam Simmons who also scooped the Barry before winning in Edinburgh last year. The shortlist is completed by Irishman Al Porter, a young comic from the old school with a bright future ahead of him whether he wins the award or not. Those who we'd like to hope were close to being nominated include Mr Swallow, Fin Taylor and Steen Raskopoulos. The Best Newcomer list is equally as intriguing with the appearance of another Scot (following up Larry Dean's appearance last Fringe) in the shape of Scott Gibson whose Life After Death was well reviewed across the board. The well-liked Daily Show writer Michelle Wolf is on there for her political and personal So Brave while Brennan Reece gains thoroughly deserved slot with a family tale in Everglow. Jayde Adams, Bilal Zafar and Nath Valvo complete the shortlist. So, here's a punt: this critic would love it to be Richard Gadd and Brennan Reece. No doubt it will be James Acaster and Michelle Wolf. See the full list of nominees. The winner will be announced on Sat 27 Aug.